Less than a full week in to his new post, Police Commissioner William G. Gross appointed half of his top command staff Friday. Less than a week into his new post, Police Commissioner William G. Gross appointed half of his top command staff Friday, naming a 22-year veteran, Gregory Long, as his No. 2. Gross chose Long as his superintendent in chief, elevating him from his position as head of the Bureau of Investigative Services for the last three years, according to a press release from the department. Before that, Long was a lieutenant detective in command of the special investigations and homicide units. As chief, Long will command all of the superintendents who oversee their respective units in the department, which range from training and professional standards, to investigative services, to field services. There are typically eight superintendents, depending on a commissioner’s organizational setup. Long has also worked as a patrol and plainclothes officer in Mattapan, and was assigned for several years to the Youth Violence Strike Force, participating in gang investigations. In his first sit-down interview since he was sworn in as the city’s 42nd commissioner Monday, Police Commissioner William Gross listed a range of priorities. Gross also promoted deputy superintendent Dennis White to the rank of superintendent, and named him chief of staff to the commissioner. White, a 29-year veteran, is often seen with Gross at community events, and served in the Office of the Superintendent in Chief under Gross when he held that post. He has also served in the Bureau of Field Services Night Command. White was a Boston firefighter for five years, and his wife is also a sworn police officer. “Superintendent White is a respected street cop who has spent his career policing the neighborhoods where he grew up — Roxbury and Dorchester,” police said in a statement. 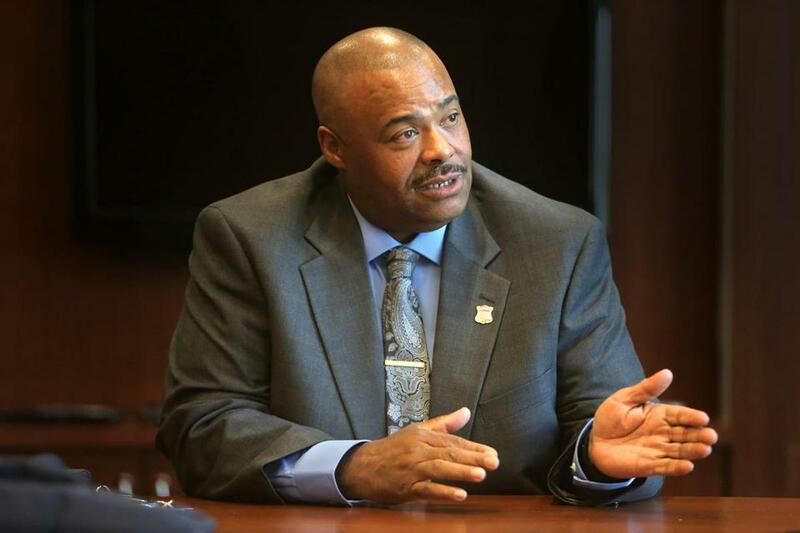 Gross also elevated Deputy Superintendent Michael Cox to the rank of superintendent, in charge of the Bureau of Professional Development at the Boston Police Academy. 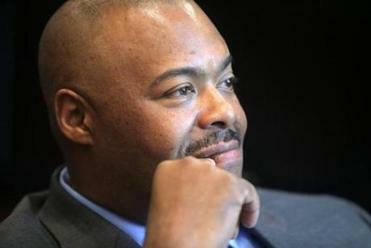 Cox, who is black, made headlines in 1995 when, working in plain clothes and in pursuit of a shooting suspect, he was beaten by several white police officers who mistook him for the suspect — an incident that exacerbated racial tensions in the city and highlighted the divide between Boston police and the city’s black community. A 29-year-veteran, Cox has since served in several roles, including as a deputy superintendent on the command staff over the last 13 years. He most recently ran the Operations Division, primarily responsible for 911 emergency response services. Also, Gross lifted Lieutenant Paul Donovan to the rank of superintendent, in command of the Bureau of Investigative Services. Donovan, a 32-year veteran, served most recently in the South End, and as commander of the Civil Rights Unit. He follows in the footsteps of his father, Deputy Superintendent Peter Donovan, who served with the department from 1946 until his death in 1984. His maternal grandfather James Carney was also a Boston police officer, in the North End, and retired in 1966. Donovan, like Gross, joined the police cadet program in 1983.